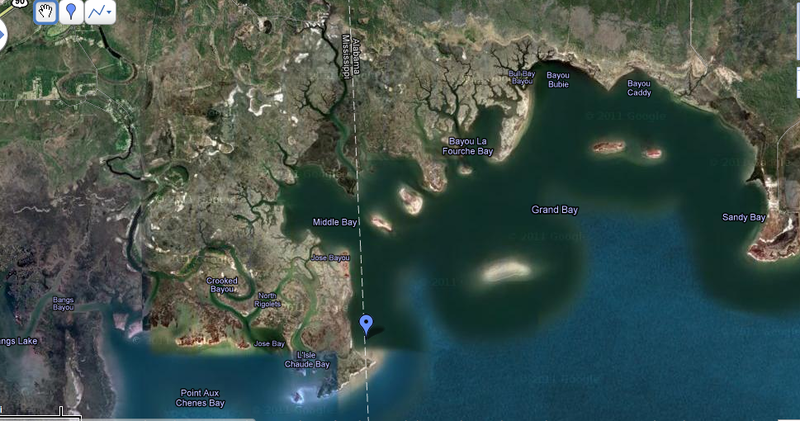 Today we inspected very, very carefully all shore lines from Biloxi Bay in MS eastward to Grand Bay in Alabama. 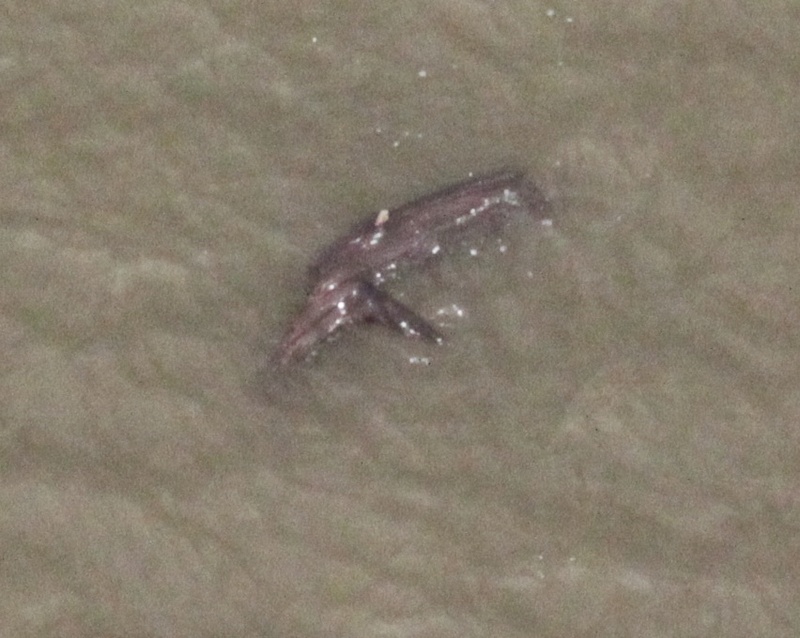 Early into the flight, I spotted what I thought was a dead or ill bird, but on circling and looking again, those 'wings' looked like small flippers, and the three of us thought perhaps we had found our first dead neonatal dolphin of the day, floating in shallow water about 20 feet from shore. The location (see here for a satellite map) is almost exactly on the Mississippi-Alabama state line, northeast of the L'Isle Chaude Bay where the South Rigolets waterway empties eastward into the Mississippi Sound. We immediately sent a text message and made a phone call to the Institute for Marine Mammal Studies, advising them of the exact gps coordinates. Upon scrutiny of the photos later, and due regret for not having had a better camera with us, we were inclined to believe we had more likely just seen a log. True, it seemed to be floating unusually high in the water and sure was shiny, but a log nonetheless. It is reassuring if this was not a dead dolphin; there have been far too many of those already! We'll keep you posted, as others are checking this one out today. Having found that one possible dolphin (or a log of comparable size? ), we at least were reassured that if there were any more under our flight path today, we would be able to spot them pretty easily. We spent the next four hours scrutnizing every unpopulated beach and shore line along the mainland and offshore islands, including Ship Island, part of Horn Island (which had been covered on previous flights), and Deer Island. We did not see anything further that resembled a dead dolphin, so we returned to Ocean Springs airport. Landed now back at 5R2 - Ocean Springs. Found no dead dolphins, and because we spotted the one (? see below), we know we would have seen others. Two pods, one off N side of Fort Morgan of four, one semi-juvenile (last year's crop). Other pod of six on the south side of east ship. All adult dolphins. Lots of cobia, red fish, and mullet at west end of east ship. We emailed and phoned Moby right after we found the neonate.